I believe that children are born imprinted with their destiny. Scripture is very clear that God predestined us. I am not a proponent of the Tabula Rasa idea that Aristotle initiated. This concept says that children are born as a blank slate with no mental imprinting. I assume Aristotle must not have spent much time with children. Our job as parents is more like unwrapping the package to see what God has placed in our children than writing on their “blank slate.” We should be trying to discover their unique SHAPE. Our children’s Spiritual gifts, Heart orientation, general Attitude, and Personality are pretty much assigned pre-birth. Our task is to help guide them through Experiences to help further mold them. Here are a few things we can do as mothers to help sculpt our children into God’s unique design for them. Many parents simply attempt to live out their own dreams and goals through their children. This is obviously unhealthy. The Lord will give you glimpses over time as to who your children are. You will discern personality traits, innate gifts, etc. For example, my daughter-in-law Maraya is Caucasian. When Maraya was a young girl, her parents allowed their daughters to pick a doll of their choosing out of a catalog. All her sisters picked little white “Beanie Babies,” but Maraya picked a little brown “Beanie Baby.” Her parents asked if she wanted to pick one that looked like her. She said, “No I want this one.” Later, as a young girl of 12, Maraya began to talk about wanting to go to Africa on a mission trip with her church youth group, That dream became a reality for her at age 17. Now she is married into a family where I am from Africa and my husband is from Tuskegee, Alabama. We have been doing missionary work in Africa for over 20 years. And we are all brown Beanie Babies. Instead of attempting to force our kids into some future role, we can pray for God to guide them according to His heart and His plan for them. Although He respects free will, He is still sovereign, and knows how to make us willing. Through prayer, God could lay a path from which it will be difficult for children to veer. Scripture says to, “Train up a child in the way they should go when they’re old they won’t depart from it” (Proverbs 22:6). I believe this verse is truth. Although my children are grown, I still pray regularly that they will fulfill God’s will for their life. 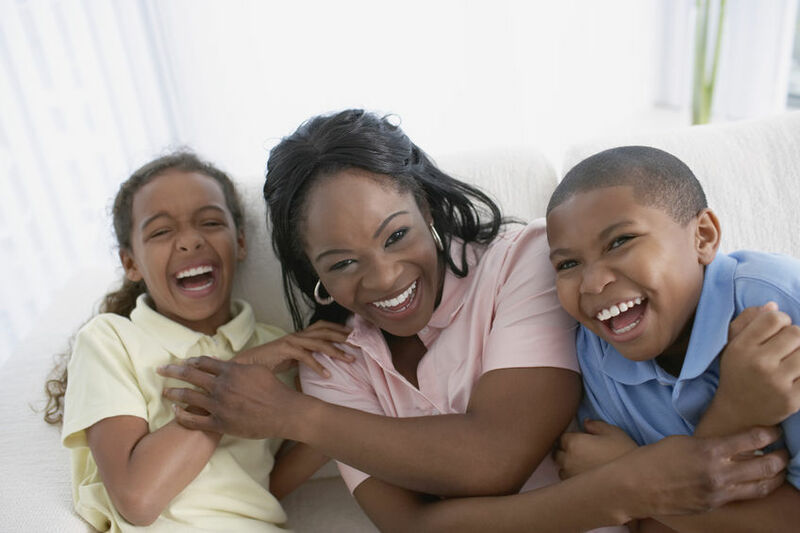 A primary role of parents is to instill good disciplined habits into their children so they can fulfill their destiny. While our society is moving further away from discipline, the Bible says “Foolishness is bound up in the heart of a child but the rod of correction will drive it far from them” (Proverbs 22:15). We should never abuse our children, but we must insist that they develop godly habits. Human beings are programmable creatures. The negative habits we allow children to get away with during early years (1-4 years old) will be habits that can follow them the rest of their lives. Lastly, just do your best. You love your kids and want the best for them. Don’t sweat when you make a mistake. None of us are perfect parents and we never will be. Let’s love them, train them, guide them, correct them when necessary, pray for them, fast for them, and love them some more. Let’s do our best and trust God to do the rest. Go for it, Super Mom. You can do this. Let’s do it together!